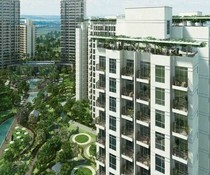 Supertech Upcountry Holiday Village is a residential apartment located in Sector 17A Yamuna Expressway, Noida. 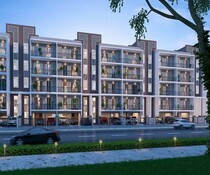 This project is featuring 4BHK apartments that are available in various sizes. The infrastructure of the apartment is magnificent with wide open space, fresh air coming in the house through the windows with sunlight peeping in through the windows making everyone?s day brighter. Some of the amenities that Supertech Upcountry Holiday Village incorporates include a gymnasium, squash court, swimming pool, and badminton court, jogging and cycling track, kid?s play area, golf course, round the clock security, clubhouse and much more. Some internal specifications include laminated wooden flooring, and Vitrified tiles. Also, it is well-connected to roadways that connect to the main city areas.